Edward is a freelance commercial artist with an ample portfolio of comic book illustrations, some which he would like to use to develop a new video game. But, Edward’s been coming to the soup kitchen regularly this summer, as a second another round of economic troubles in the last fifteen years has got him looking up to see bottom once again. Edward developed a successful career when he first came to New York in 1975 as an aspiring freelance commercial artist. This came to an end 1999 when his wife was diagnosed with liver disease and he had to spend more and more time as her caretaker. By June of 2000, things had hit a crisis point with her health and for the next two months he wasn’t able to accept any work as he sat with her though her last days until she passed away in August of that year. Within a couple of weeks, while still dealing with the grief from that loss, he found himself out on the streets, looking for shelter. His wife had been the last tenant paying rent controlled prices in their apartment building. She had lived there before they got married, and it was her name on the lease. “I could have been put on an inheritance list but I didn’t know about it” Edward says. With the primary tenant deceased, the landlord raised the rent and Edward found himself on the streets. 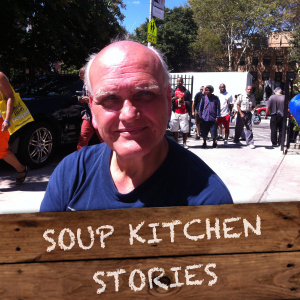 That was his first time needing a hot meal and found one on a regular basis at Holy Apostles Soup Kitchen. Edward’s spirit prevailed and by 2005 he was once again working, earning money and back on his feet financially. He had also fallen in love with another creative spirit, a massage therapist. The two of them were married and enjoyed the lucrative income of two successful professionals. “But we got sucked right into the housing bubble,” he says, “she wanted to live near her family so we found a place in Connecticut, near a MetroNorth station, where I could still come into the city to work.” Things were only looking up when the housing crash hit. “They had told us they could ‘make it work’ when we signed the mortgage papers.” he says, “what that meant was a floating interest rate. I just signed the papers but didn’t really understand. Our rate went from 18% to 58% in a couple of months and we were suddenly hundreds of dollars behind.” The next thing he knew, he was bankrupt with a broken relationship, and actually in prison for several months because of missed payments. With his marriage broken, assets depleted, and now a prison record, Edward decided to come back to New York to work on his art career again, which requires new skills in digital graphic arts. Today, he is in a men’s homeless shelter and is once again coming to the Soup Kitchen for sustainance. An old friend of his volunteers at the soup kitchen as a counselor and, on top of giving Edward some much-needed company, the two of them share a spiritual connection with Buddhist chants. 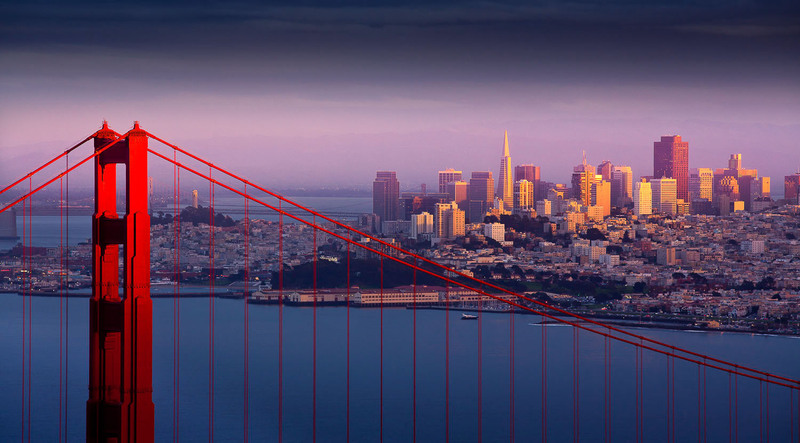 I lived in San Francisco for six months in 1979, when my husband was renting a seat on the Stock Exchange. Anything that could go wrong, did. The wind off the Bay never stopped, and I always had to wear a heavy sweater. To paraphrase Mark Twain, the coldest summer I ever spent was my entire stay in San Francisco. That year there was a gas shortage nationwide and instead of visiting outlying areas, you sat in your car for hours in gas lines. For short drives to the beach or up the coast, if you had gas, you couldn’t find a parking space. My husband did not spend money. Not on eating out. No handicrafts or magnificent bottles of California wine. We drank water at zero cost. I lived on New York time in California. My husband was at the exchange by seven a.m. and left at one p.m. when his day was over. We went to sleep at nine o’clock at night. I was always thinking ahead three hours. I dreamed of the East Coast. We lived in a nice little garden apartment that many people mistook for the super’s place. My bell was always ringing. We averaged one earthquake a month. One night while I watched TV on the futon, the floor gently shook. It was like touching a bowl of Jell-O – 1.5 on the Richter scale. It was the last straw. I got up, packed everything, sold our furniture, and within three days I was ready to move back to Manhattan – with or without my husband. He saw how serious I was and started packing our cream-colored Camero. We left at four the next morning, the last thing we did on California time.